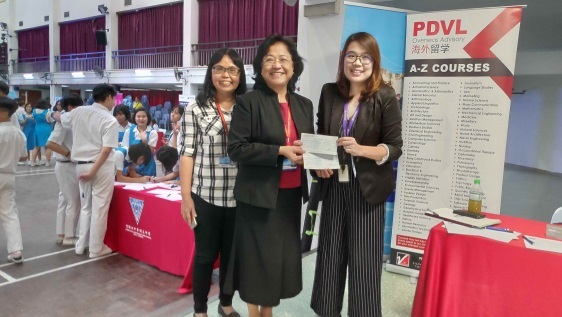 PDVL Scholarship Fair 2019 was held in Chong Hwa Independent High School on 12 April 2019 from 9a.m. till 2p.m. This year, about 22 prestigious universities from England, America and China came to promote their institutions. This fair was open to the public and it attracted a lot of visitors including parents, students and school leavers. It was a great success!